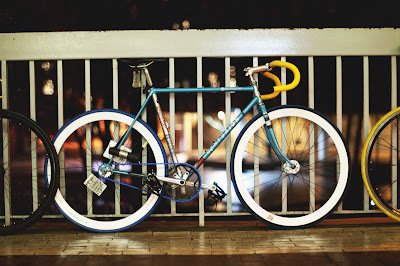 My girlfriend called me and told me that I should hurry up and get a picture of this bike because it was amazing. She was right, the color combination is unique and stunning. 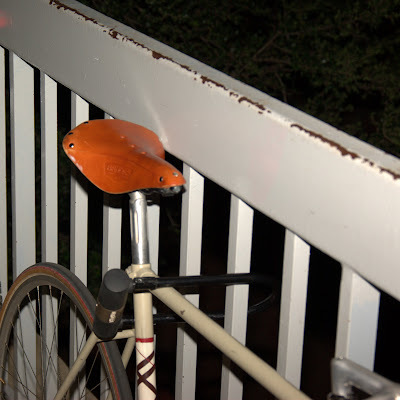 I even like the old style seat. 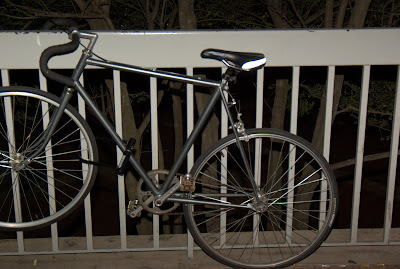 This is version 1.2 of this bike. 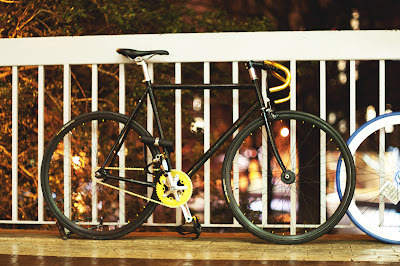 With a new fixed gear velocity wheelset this thing will be awesome. 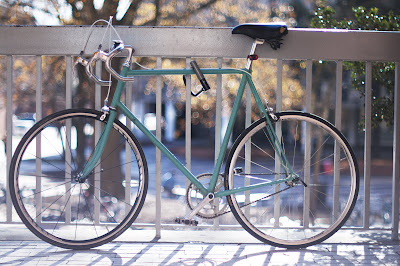 This debranded road conversion single speed made me look when I saw the shiny bars and the beautiful turquoise frame. 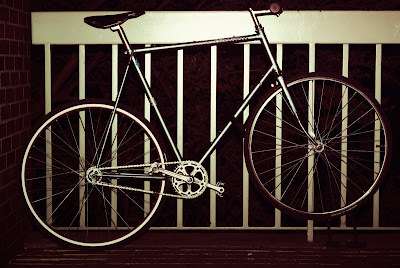 I can't imagine how good it would look with no brakes and a slim seat. 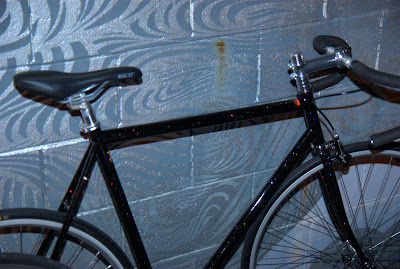 This is an update to a previous bike, it is actually not a Fuji obey and it is sparkly if that gives a hint as to which one it is. I like this road conversion. 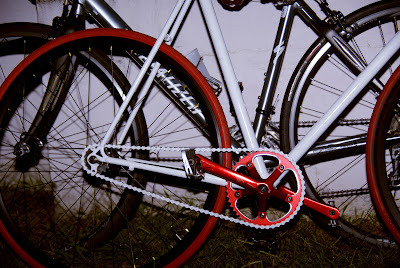 The crank is stunning and red tires complete the color scheme. 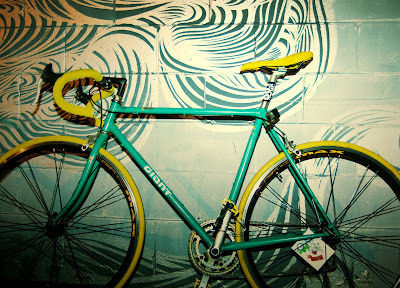 This single speed giant has an awesome color scheme and a nice old giant logo. 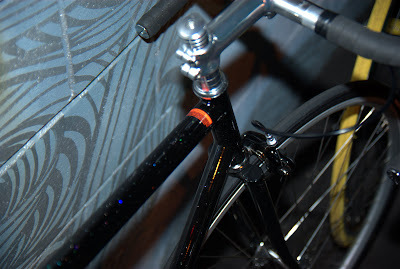 This bike has a really cool paint job with colorful glitter under the finish. 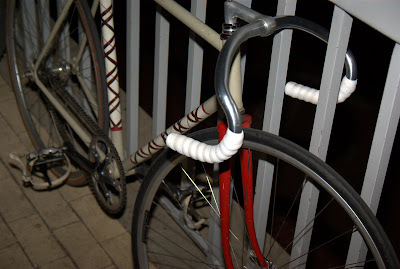 Even though these pictures dont have the chain I promis it was a fixed gear. First Friday... 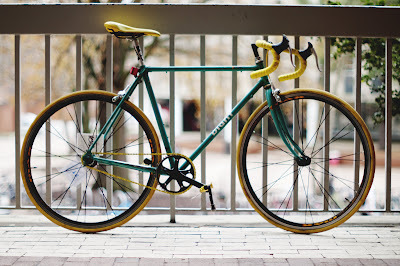 This really nice looking fixie is a Miyata owned by Garret Warren, a sophomore at NCSU. 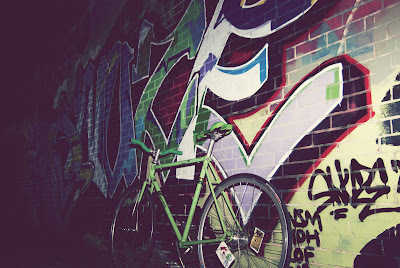 Pictured in front Adam Peele's graffiti. 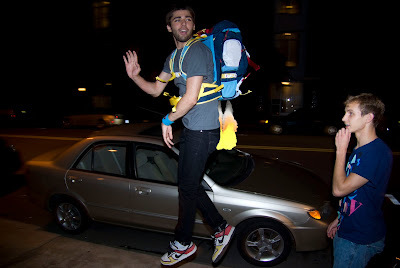 Also he is the one who is not flying away with a jetpack in the picture. Also outside of the library I found an interesting bike. 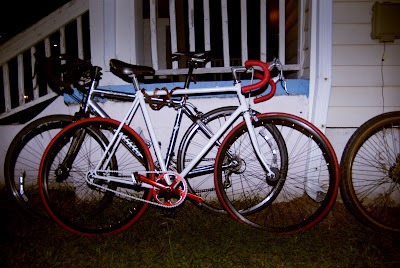 It is an old grey converted to single speed road bike I think. 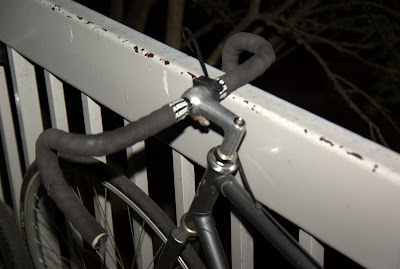 Two interesting things I found were that it only had a back break usually I see only front breaks. 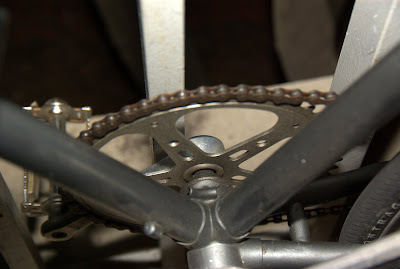 Also the front cog was unusual. It is not bloted on like most which I find minimal and exciting. 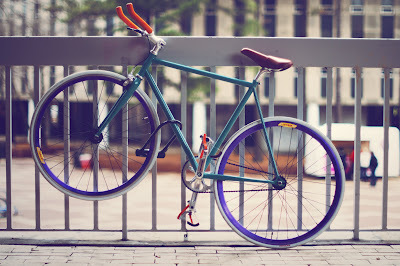 This is a beautiful bike with no brakes and a lether seat. I really like the graphics on the tubes. I wonder who it belongs to? If you know please tell me. It was locked up outside of the library at NCSU. 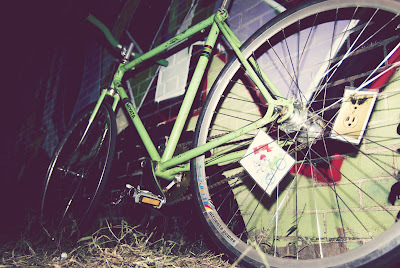 This is my new bike you may recognize it around NCSU campus. 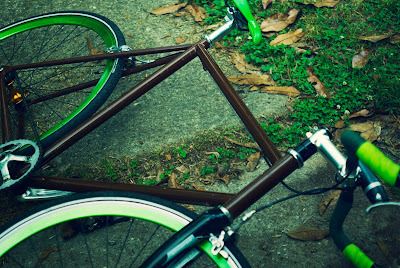 I'll be taking pictures of bikes that I see on States campus and uploading them as soon as possible. and weighed a lot. 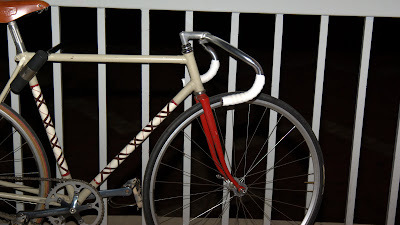 Please send me pictures of your first fixed/single gear bike.